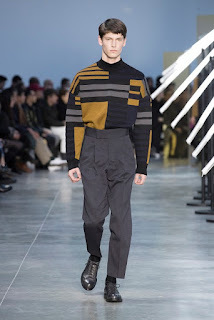 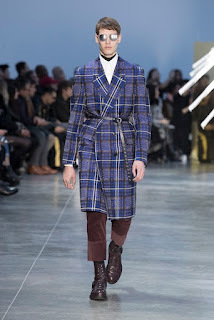 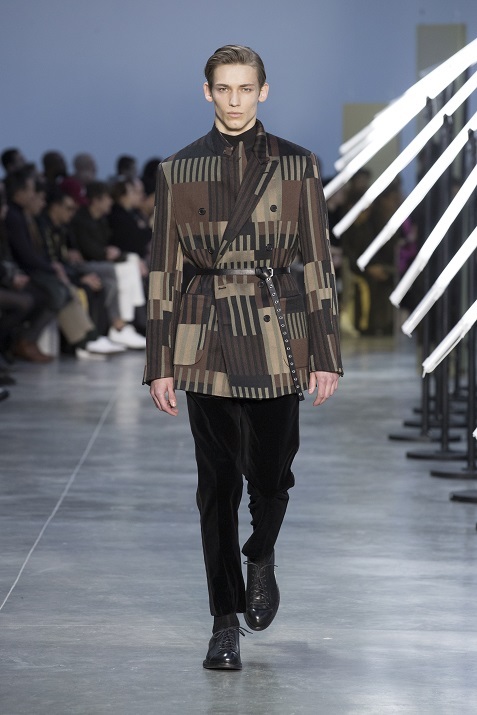 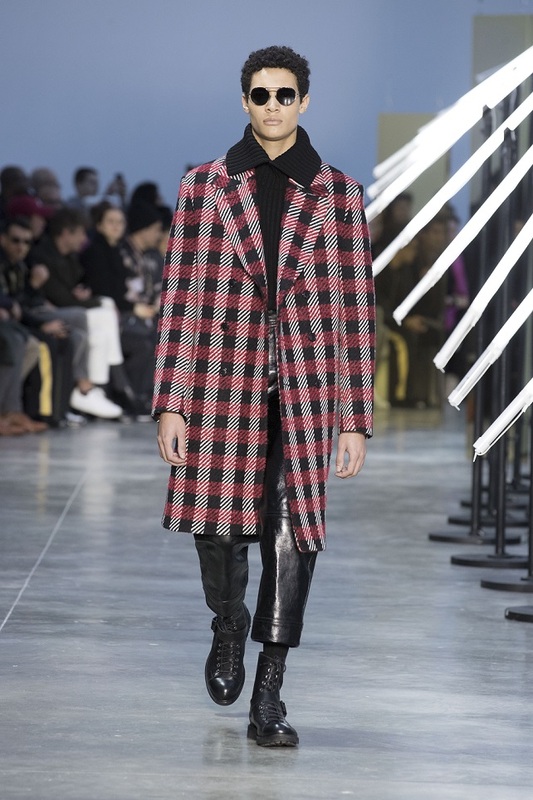 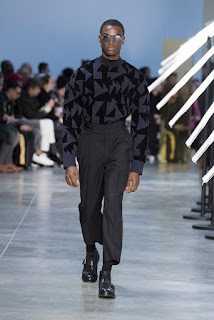 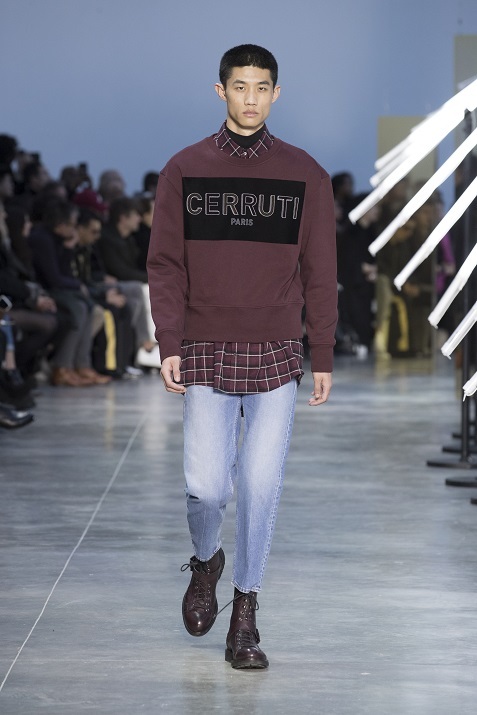 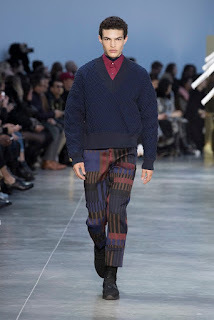 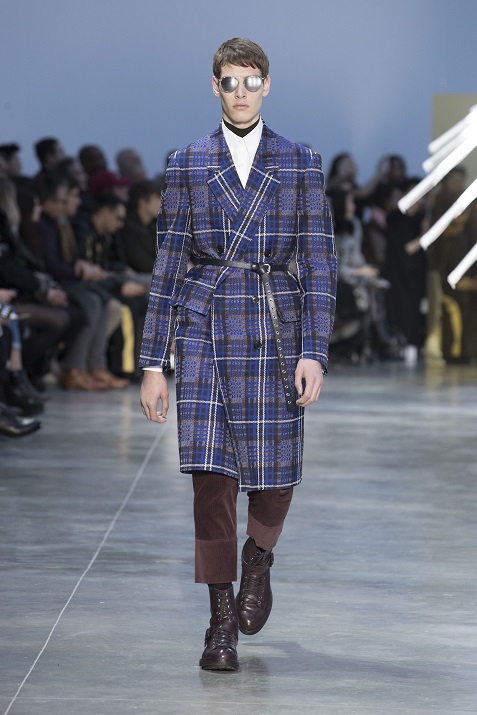 CERRUTI AW2018 Collection is an array of post-punk, military and streetwear inspirations is the source for an eclectic, and electric collection, which is, as always, permeated with the codes of Cerruti chic. 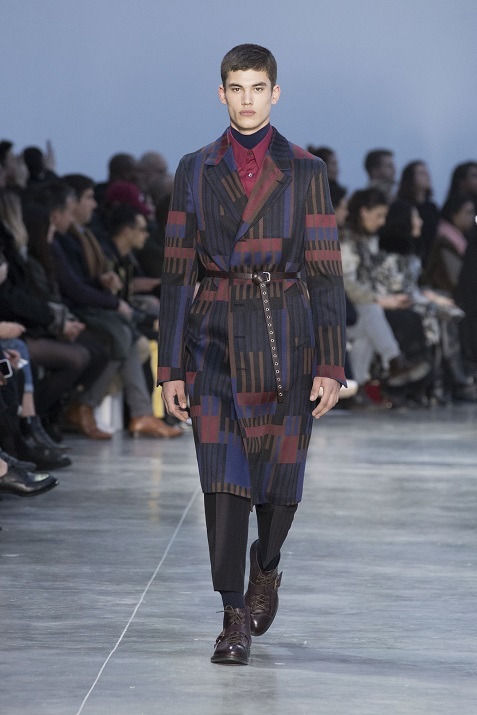 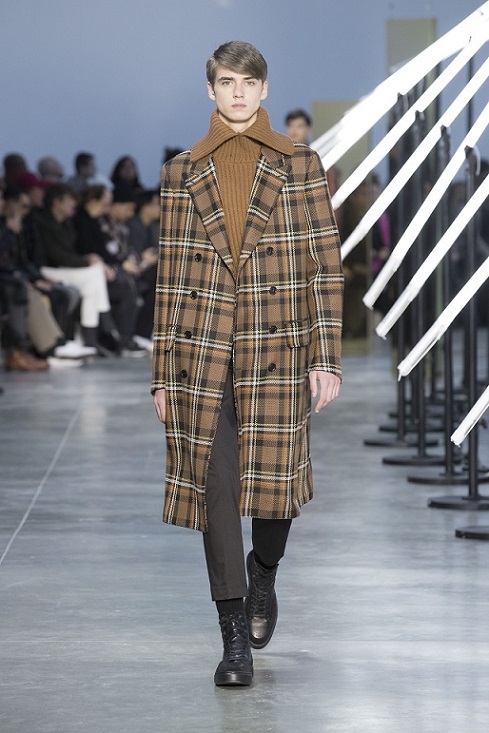 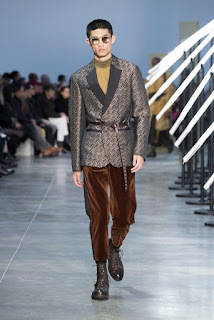 A palette of warm, sophisticated tones – black, burgundy, creme, khaki, nutmeg and mustard and refined materials – velvet, shearling, cashmere, silk jacquard technical wool create the counterpoint to an angular, wiry silhouette, with either broad shoulders, cinched waist or more fluid A-line. 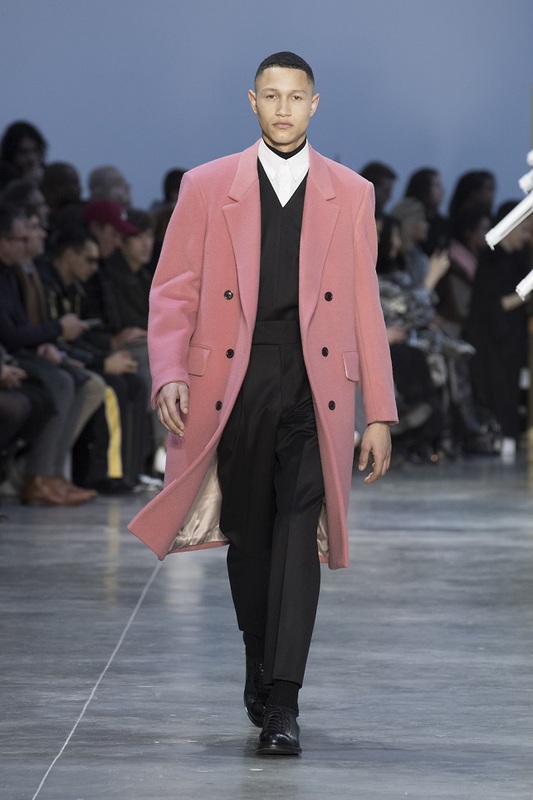 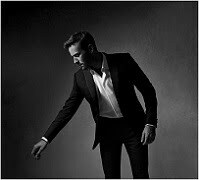 Tailoring is featured, often in association with sportswear pieces, creating the perfect balance between formal and casual. 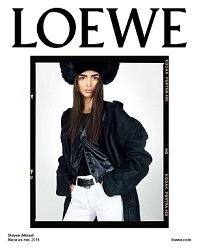 Wool or technical jacquard track bottoms and leather utility trousers mix with oversize jackets and coats. Check, Prince-of-Wales and herringbone patterns are worked in their XL versions, as a reference to early 80s’ aesthetics, which are combined with an exclusive graphic motif inspired by the Bauhaus fabrics design. 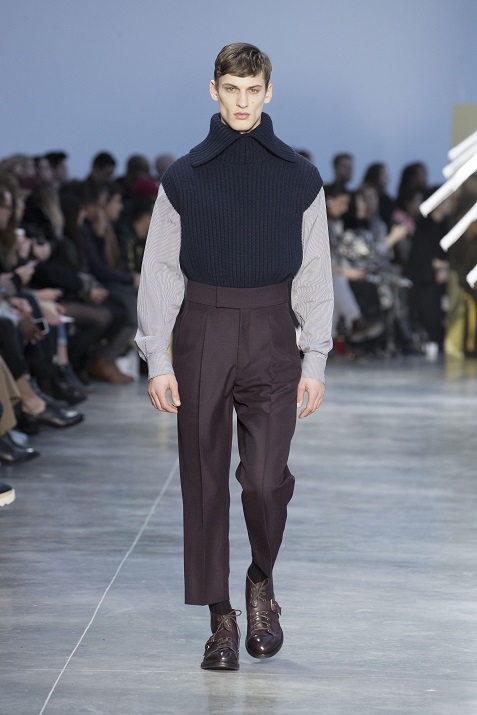 The trousers, in turn, have become more slim-fitting, with a higher waist, and in some cases feature cummerbunds. 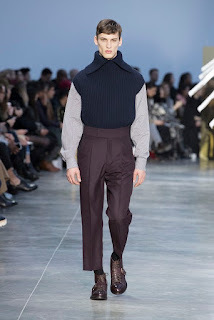 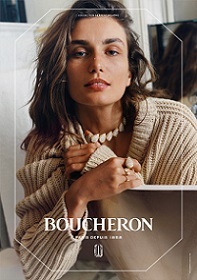 The thick, textured sweaters come cropped and fitted, to be worn layered or tucked into trousers. 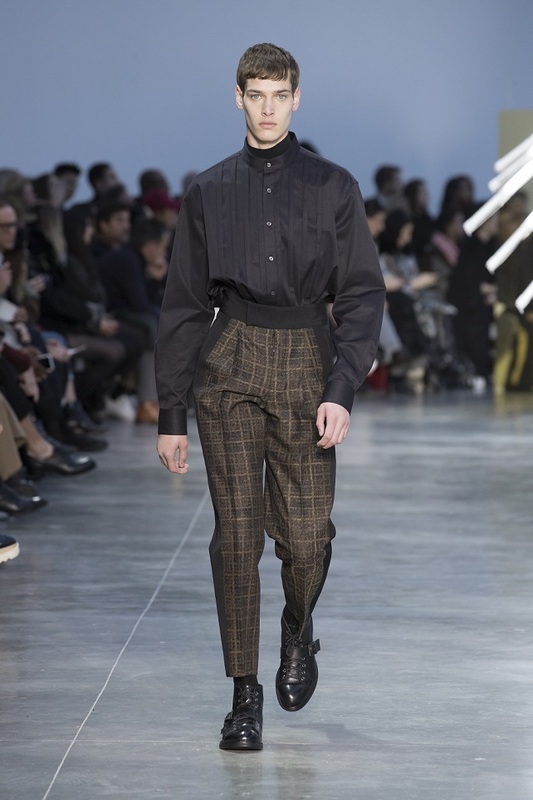 This season a few unisex pieces are presented on women. 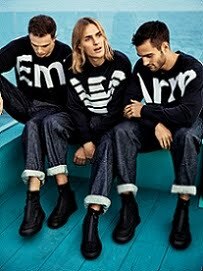 The idea of a shared wardrobe is expressed by borrowing from the boys. 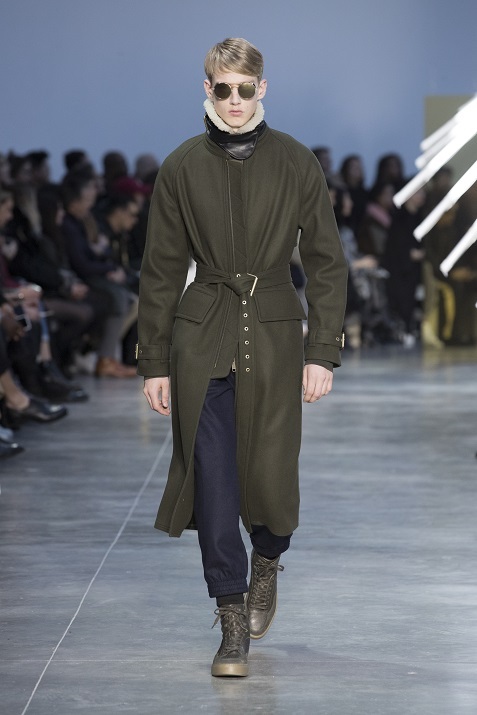 A military boiled wool trench, camel coat, parka and jacquard wool duster are parred with slim trousers and shown belted or accessorised as the men. 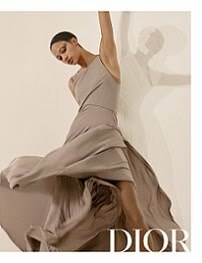 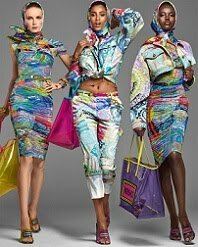 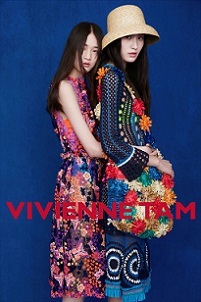 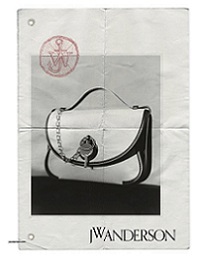 The accessories include quilted tote bags, nylon rucksacks and belt pouches used to cinch the silhouette. 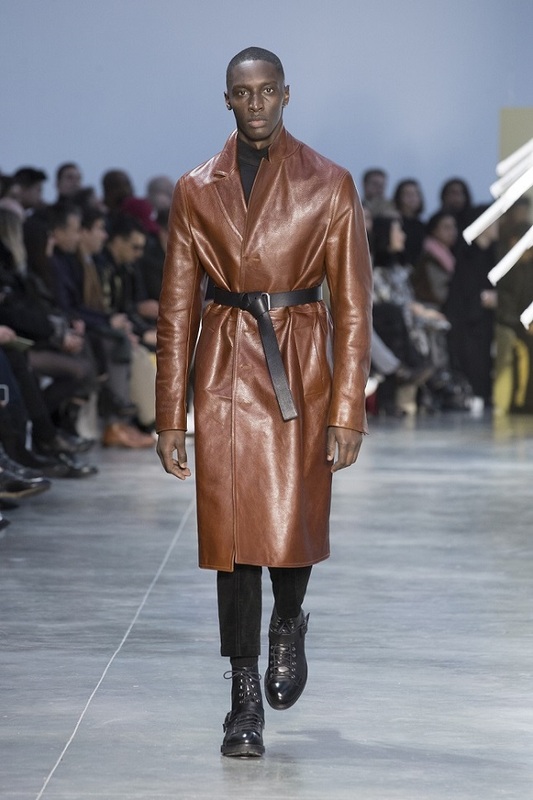 As are the leather belts with metal detailing, worn knotted around jackets and coats. 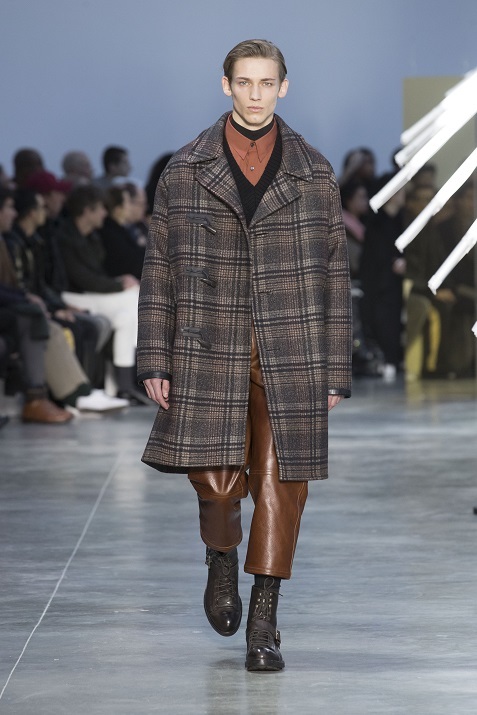 Leather and calfskin sneakers impart a casual look to the tailoring, even the leather footwear takes on more carefree mood, thanks to their rounded forms and new interpretation on the hiking and combat boot. Metal aviator glasses add a final touch of contemporary luxury to the collection.